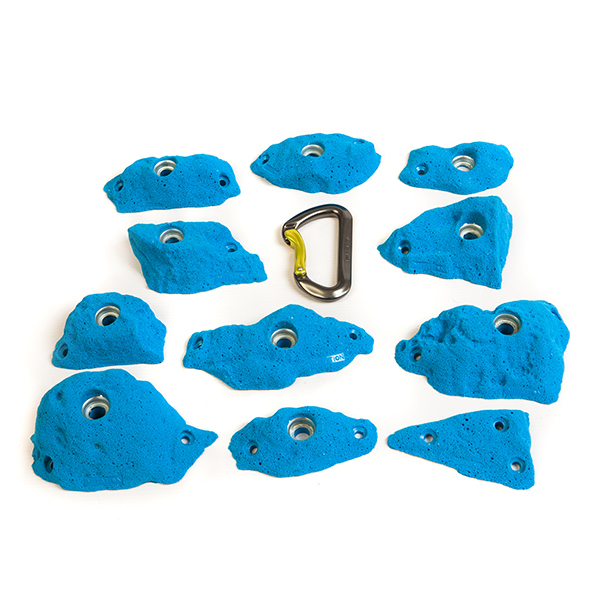 A set of 11 Climbing Holds. The set comprises of 1 Small 10 Medium. Limestone shapes from around the UK. 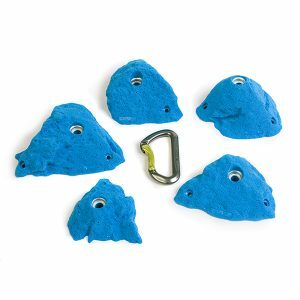 Assortment of climbing hold types. Get creative utilising shapes from sea eroded Marsden Cove and Yorkshires Kinsley. All fixings included. 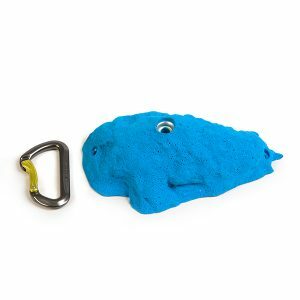 Carabiner not included. With so much Limestone variation in the UK, this Assortment set captures a range quarried, sport and coastal crags to help explore a routesetters creativity. 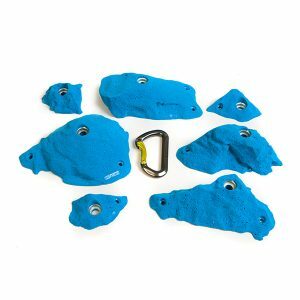 The similar Assorted Limestone Set No2 is well matched to create those longer routes.